Western Province Cat Club has the distinction of being the oldest cat club in South Africa, beating two others to the gun by a mere few months. 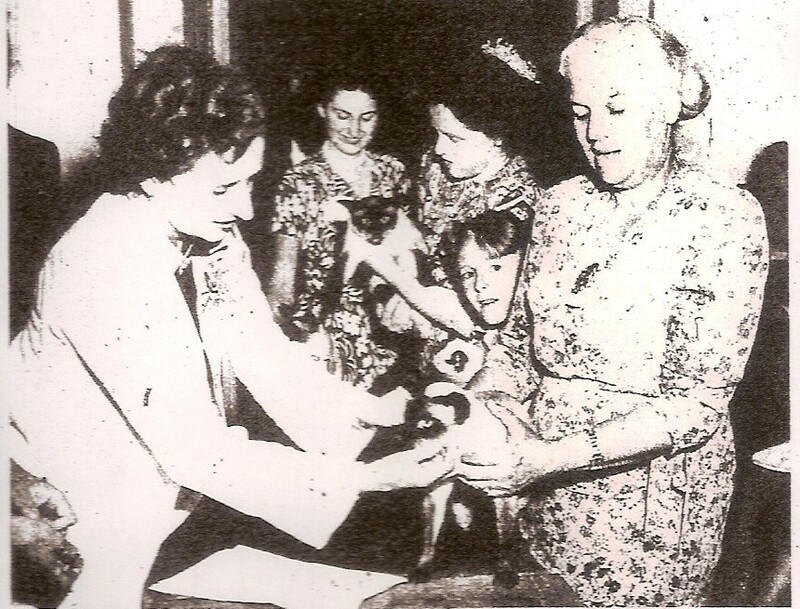 The year 1948 was a momentous one for the embryo Cat Fancy in South Africa - on February 27, WPCC was founded; in July, Natal Cat Club made its appearance, and in September, the Siamese Cat Society, forerunner to Transvaal Cat Society, came into being. WPCC’s first show was held in the Athenaeum Hall (then called La Rochelle) under the Railway Bridge in Newlands with a fair turnout, according to the musty tomes that survive. The winner was Little Boy, entered as a Russian Blue but of uncertain parentage, he was owned by founder member Mrs R Gilmour. That first show was the forerunner to the many that have followed, until the Club is in the position it is today: vibrant, with an active committee and exciting, innovative shows. 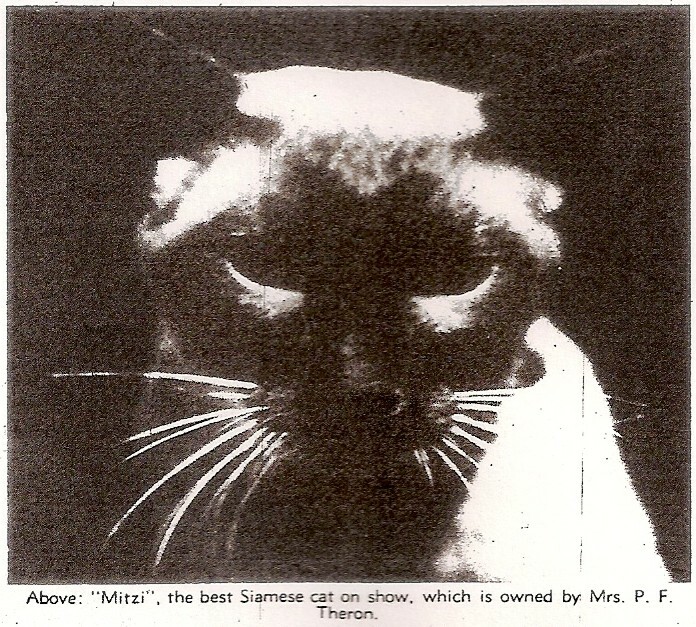 From those early days, the club went from strength to strength and was the only one in Cape Town until the early seventies when All Breeds Cat Club made its debut. In 1982, for example, there were a record 782 members - an amazing growth from a mere handful of enthusiasts. Rising costs all round, however, have taken their toll and membership is now down considerably from that heady figure. This seems to be the trend with many of the clubs now operating in South Africa - the cat lover has a wider choice of clubs to which to belong, so loyalties are somewhat divided. And, there are many more shows annually, from club ones to those put on by breeder groups, and this has to led to the membership and entry pies being sliced into smaller and smaller portions. That aside, however, WPCC have forged steadily ahead. The only way to keep - and increase - membership is to be innovative and to this end, the club introduced a points-scoring system for that backbone of every club, the domestic section. WPCC were the first to introduce special awards for “doms” that could accumulate certificates in the same manner in which pedigreed cats attained their championship status. In 1998 the Master’s Certificate was born and any “dom” earning three of these became a Master - and was treated with due respect. Three Grand Master certificates, and your beloved household pet becomes a Grand Master and worthy of an extra titbit at bedtime. 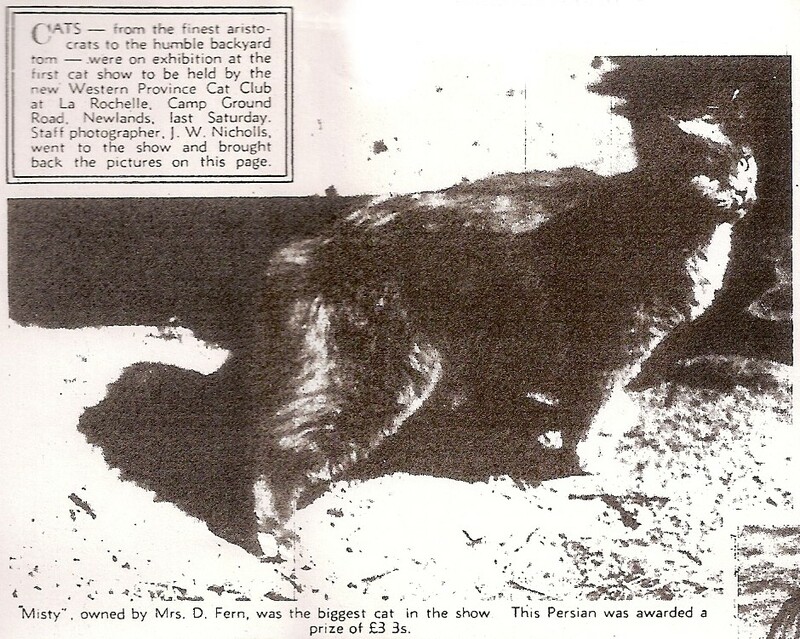 The club was also a prime mover of the Cape Top Cat show, an annual event in which the top Cape cats - 10 neuters and 10 entires - vie for the title of Cape Top Cat. Contestants gain points in a similar manner to those accumulated for the national finals of Cat of the Year, but only Western Cape cats are eligible. From the first show, in 1999, the highest scoring domestics also competed for the title of the Cape’s Top Domestic. Cape Top Cat has become a fun event, originally put on jointly by WPCC and All Breeds Cat Club, but now organised by an independent committee, with special attractions like cats on exhibition, grooming demonstrations and queens with their kittens and special décor theme for each year. The shows have caught the public imagination and drawn big crowds who have flocked to the special breed and interest tables with excitement mounting before the final judging. 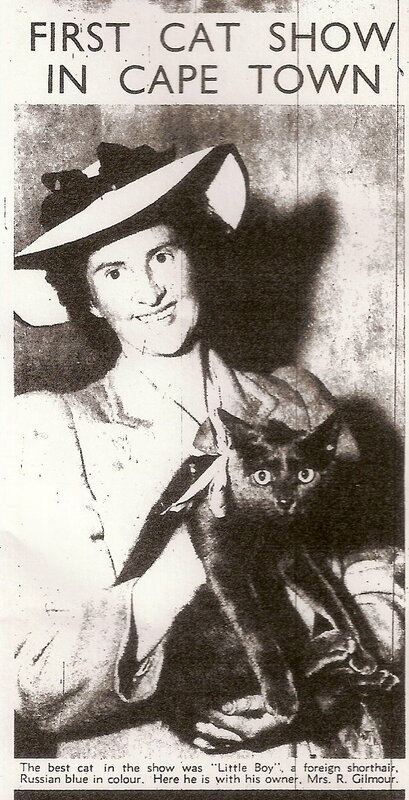 In 1969 the late Marjorie Simpson of WPCC attended a meeting in Bloemfontein of delegates from all cat clubs in South Africa to discuss a constitution for the Governing Council of the Cat Fancy of South Africa, the inaugural meeting of which was held in January 1970. Over the years, several specialised breed groups have been sponsored by the club and affiliated to the GCCF of SA, now the Southern African Cat Council. Several of them, notably the Abyssinian and Somali Association of South Africa, the Siamese Breeders Group and the Burmese Interest Group (which has subsequently become the BIG Cat Club), have been holding successful annual shows under the auspices of WPCC. Over the years, WPCC also have invited many overseas judges to shows in South Africa and, on the whole, their impressions of the standard of Cape cats have been most favourable. Western Province Cat Club supports cat-related charities. Our main charity fund raising event is the annual exhibition, held at the Paddocks Centre in Milnerton. Profits from our annual photo show are also donated to charity. We have also produced two booklets, The Cats Calling Collections 1 and 2, which were donated to TEARS for them to sell for fundraising. These are collections of stories by our members, which were originally published in our magazine, Cats Calling. The WPCC has celebrated several milestones with gala shows: our half-century in 1998 at the Sea Point Civic Centre, while our 100th show in 2007 and our 60th anniversary in 2008 were both celebrated at shows at the Edgemead/Monte Vista Community Hall. As in all things, if you want to stay ahead you have to be innovative and cater for your members and the public alike. In this respect, WPCC goes all out to give members the chance to show their cats to their best advantage and to give the public a valuable insight into the world of the Cat Fancy, the cats themselves, and a better appreciation of an animal that has stolen the hearts of countless millions the world over.